Bali’s resort grade real estate market has gotten a shot in the arm with strong overseas buying activity at the Mandarin Oriental Residences offering in Pandawa. Within recent memory the mainstay property audience has been Indonesian’s in mostly condohotel units. Pricing points and unit sizing fell sharply and for the most part larger villa estate offerings have seen fairly flat trading. One of the mantras in the industry was one when evaluating a project, if it couldn’t attract domestic buyers, it was dead on arrival. Times are changing though and the outcome of the Indonesian tax amnesty program is considered to be widely positive for real estate. Transaction activity returning to a new normal and investment sentiment has swayed. 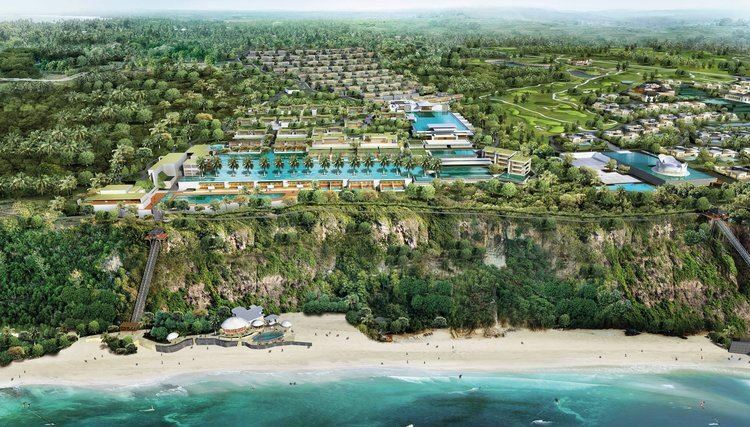 Looking at Mandarin Oriental Residences Bali, this is part of an integrated resort development which includes the already open Bukit Pandawa Golf Course. More luxury resorts are in the works but the 91 luxury villas that have been designed by Denniston’s guru Jean-Michel Gathy are striking a cord with buyers. In Singapore a property exhibition at the Mandarin Oriental hotel saw strong numbers and the timing of the event with the Singapore Yacht Show had a number of people going to both venues. On the positive side, the signs of demand for premium pool villas at the top end of the market is already creating ripples in Bali. Expect a new level of overseas promotion for Bali property in the very new future, as sentiment and the Mandarin hotel brand have piqued the imagination of the Robinson Crusoe set. What can you buy for 1 million US?